Characters in The Cthulhu Hack handle Threats in different ways. Sometimes, the situation doesn’t allow any kind of decision making; or at least, it doesn’t allow any careful finessing. A teacher battering seven shades of hell out of a bully in a car park might Save versus the Threat with Strength or Dexterity, dependent on if the teacher choosing to wrestle or evade. The same teacher faced with a ragged hole in the ground and no rope or climbing gear to speak of might also look for options. Strength and Dexterity, again, might prove the most obvious approaches, but maybe Intelligence would allow a teacher to eke out some assistance from the environment – roots, for example, or the careful knotting of torn fabric from an overcoat. If the teacher gives lessons in Physical Education and opts for Strength, the GM could offer an Advantage. If the character was a stevedore or sailor, the GM might offer Advantage to make the Intelligence Save. A player might also offer strong argument about time. Time offers a way to relieve a degree of pressure without necessarily reducing the threat – or possibly haggling for an increase in potential harm. The GM doesn’t have to agree to a bargain like this if it doesn’t make sense. Maybe the only way forward has to be through physical stress and the Threat won’t wait; or, if the character takes too long researching in the library, the Threat will escalate to encompass a wider area of impact or an adversary will claim a victory unopposed, complicating a later encounter. If a teacher of the Classics opts to climb with a physical Save – despite low scores – the player could argue that the teacher simply takes his time to make the descent. 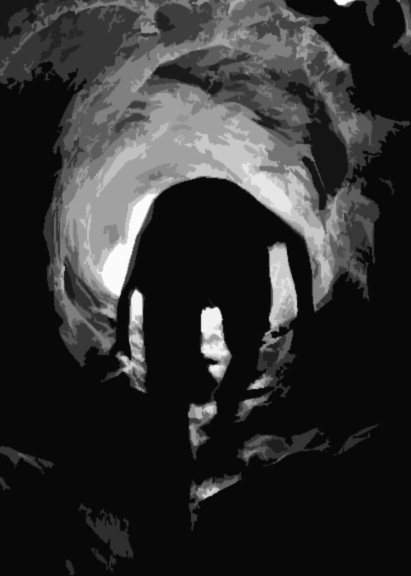 The GM might agree to offer an Advantage, but bargain that a failure will not be from a damaging fall, but capture by the strange pursuer crawling through the shadows of the tunnel. I suggest that players have plenty of opportunity to get themselves hospitalised or institutionalised during the course of an adventure in The Cthulhu Hack without robbing them of some sense of progress. If you follow the path of nurturing a more Lovecraftian approach of intellectual characters over sluggers and brutes, asking for Strength Saves every 10 minutes seems churlish.